Fall is upon us and while we love pumpkin everything as much as the next person, we couldn’t let the season pass without taking advantage of the beautiful fruit available this time of year. 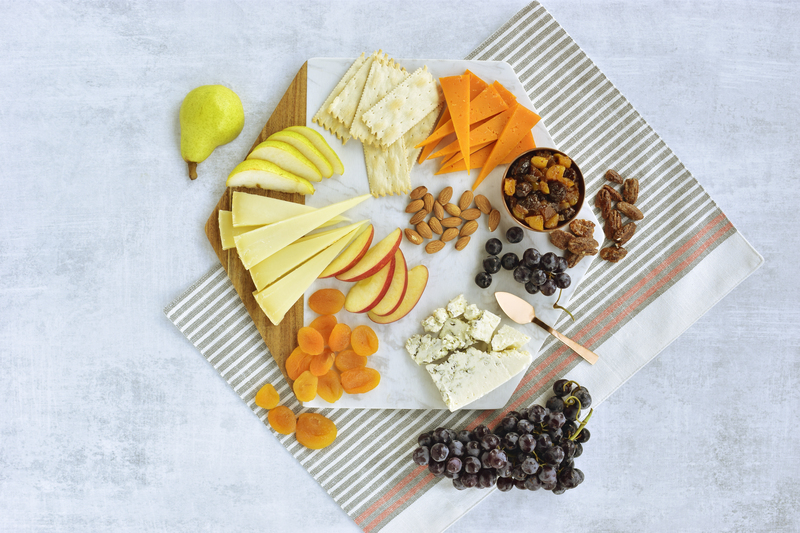 Fresh fruit like grapes, apples and pears, complement the flavors and colors of the cheese. Here we chose Grand Cru®, Buttermilk Blue® and stunning Prairie Sunset®. Dried fruit adds some additional sweetness, while spiced and plain nuts give the cheeseboard some texture. To really elevate the fall flavors, try making this easy dried fruit mostardo. Combine apricots, cherries, shallot, wine, vinegar, water and sugar in a small saucepan over medium-high heat. Bring mixture to a boil and cook until liquid is absorbed and fruit softens, about 10 minutes. Stir in mustard and butter; reduce heat and simmer until mixture is jamlike, about 2-3 minutes.